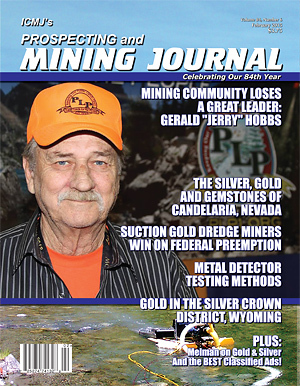 The new issue of ICMJ's Prospecting and Mining Journal is ready for viewing for those of you who have online access as part of your subscription. NOTE: You may be prompted to log in to your subscription account. Use this link and it will be emailed to you.